Ascending to the edge of space and a speed of nearly five times the speed of sound, the booster sent the second stage on the way to orbit before beginning a complex sequence of maneuvers to first reverse its direction of travel, re-enter the atmosphere and home in on a huge concrete landing pad established at Cape Canaveral Air Force Station. 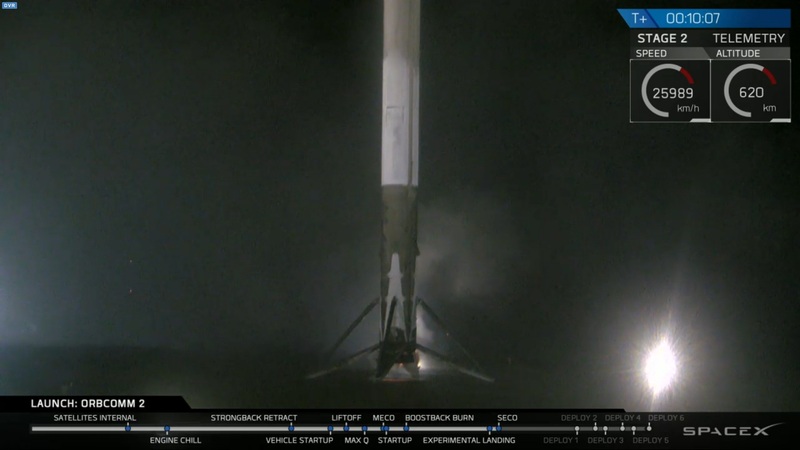 Returning in a blaze of fire, the booster successfully touched down under the power of one of its engines and came to rest on its four landing legs – cementing SpaceX’s place in space flight history. 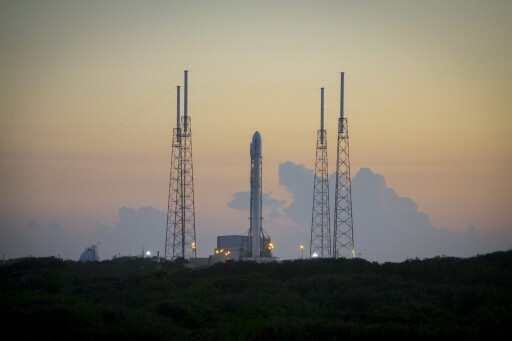 The Falcon 9 FT rocket, making use of super-cooled densified propellants and uprated Merlin 1D engines, lifted off from Space Launch Complex 40 at Cape Canaveral Air Force Station at 1:29 UTC on Tuesday, 8:29p.m. local time on Monday. 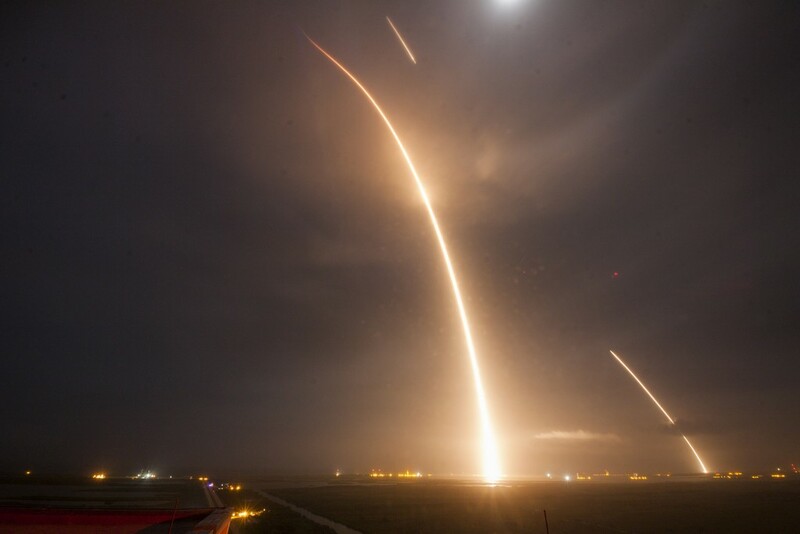 Rising under the loud thunder of its nine Merlin 1D engines with a collective liftoff thrust of 694 metric ton force, Falcon 9 cleared the tower and lit up the night skies over Florida’s space coast. 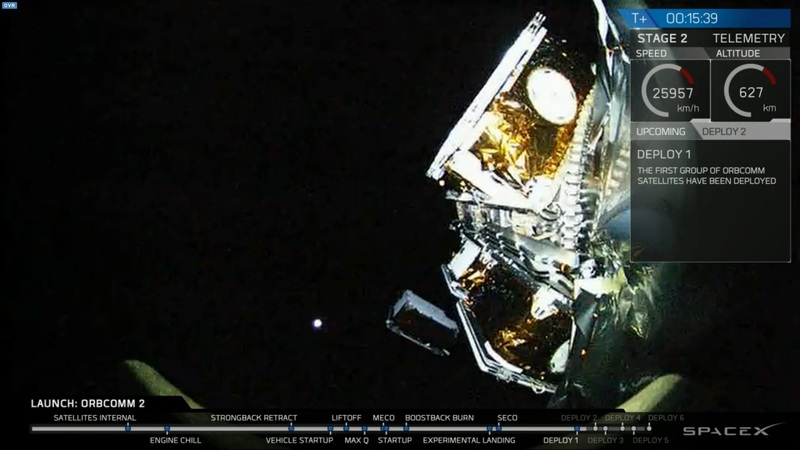 As Falcon 9 departed SLC-40, all eyes were on Landing Zone 1 about nine Kilometers to the south where the first stage of Falcon 9 was due for a hoverslam landing just ten minutes after blasting off. 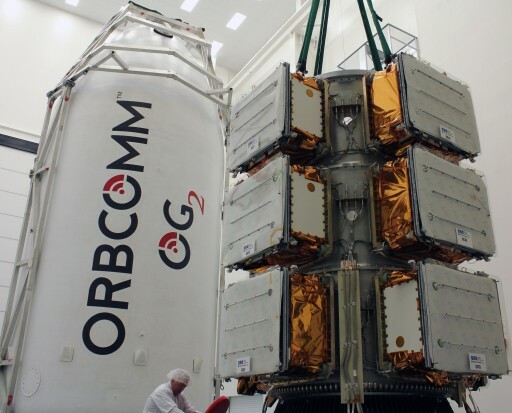 The primary task of the Return to Flight Mission of Falcon 9, coming back from June’s second stage structural failure, was to rehabilitate the launch vehicle by delivering its payload – 11 Orbcomm Second Generation Satellites – to an on-target orbit over 600 Kilometers in altitude. Falcon 9 fired its first stage for two minutes and 20 seconds, delivering a good performance as it burned its engines at full throttle for around two minutes and throttling back in the last seconds of its burn. Stage separation – employing an additional pusher within the separation system – was clean and the first stage dropped away for its adventurous landing. 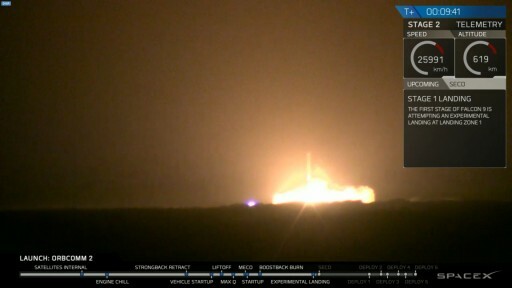 Igniting its MVac engine around six seconds after parting ways with the booster, the second stage started a long burn of around seven and a half minutes to reach its target orbit. Delivering 95,300 Kilogram-force of thrust, the second stage remained on a good trajectory, homing in on its orbital destination. 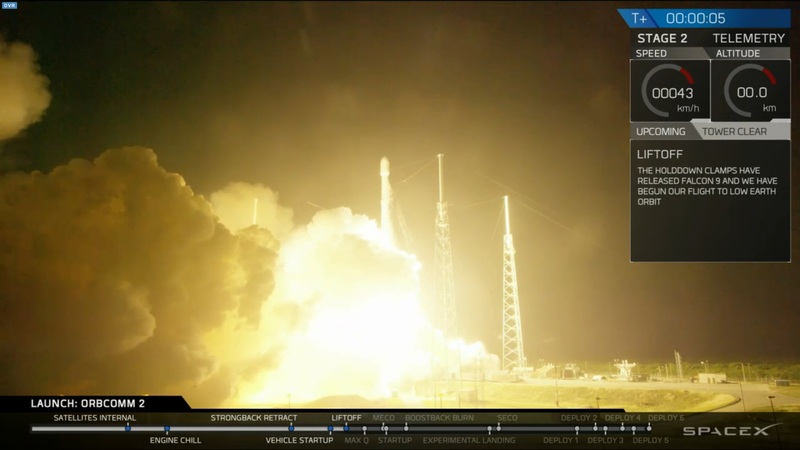 Shutdown occurred ten minutes into flight and cleared the way for the sequential release of the 11 satellites starting 15 minutes after liftoff. 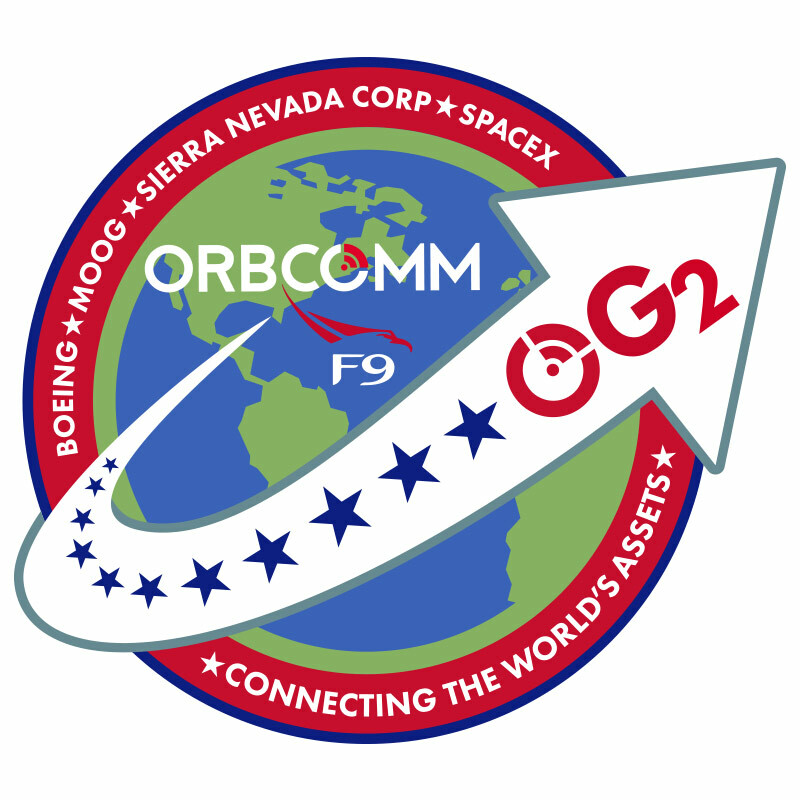 All satellites were successfully separated from their adapter rings and sent on their way to enter Orbcomm’s Machine-to-Machine communications fleet. 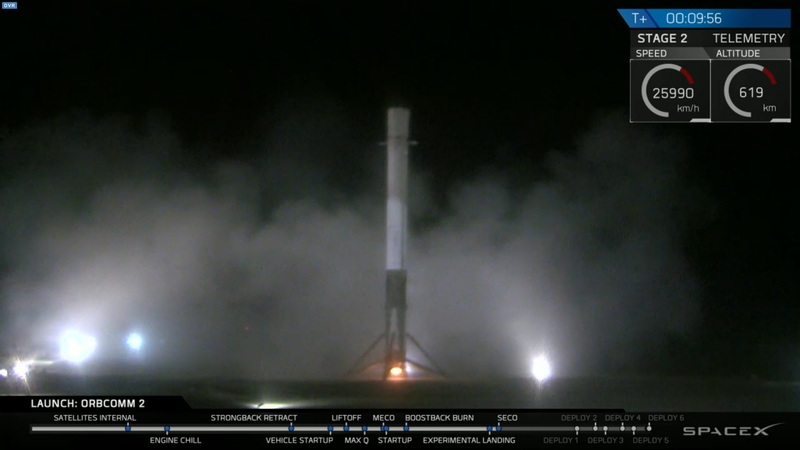 Although not a primary objective in this mission, all eyes were on the first stage after it separated and embarked on its return journey with very tight operational margins, not leaving much room for error. The stage was successful in maneuvering to an engines-first position by using its Nitrogen thrusters ahead of the ignition of a subset of its Merlin engines on a 100% boost back burn. This firing reversed the direction of travel of the stage and gave it sufficient energy to make it to Landing Zone 1 at the former Space Launch Complex 13. 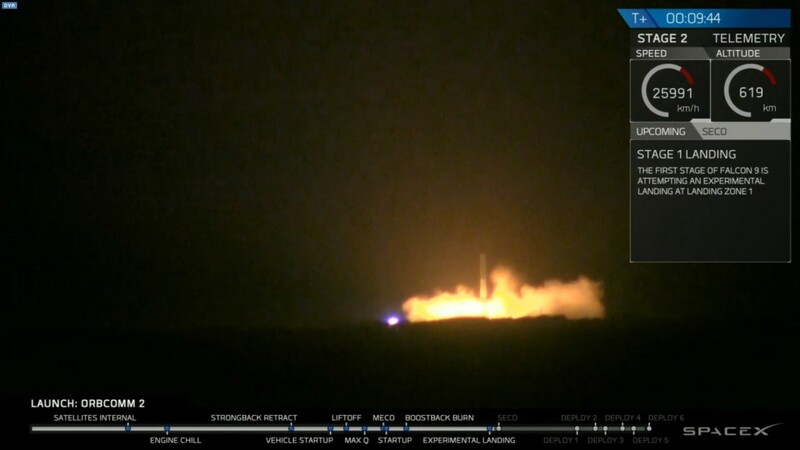 Crossing 70 Kilometers in altitude on its inbound leg, the booster fired its engines for around 30 seconds to slow the stage down, but more importantly shield it against aerodynamic forces of re-entry. 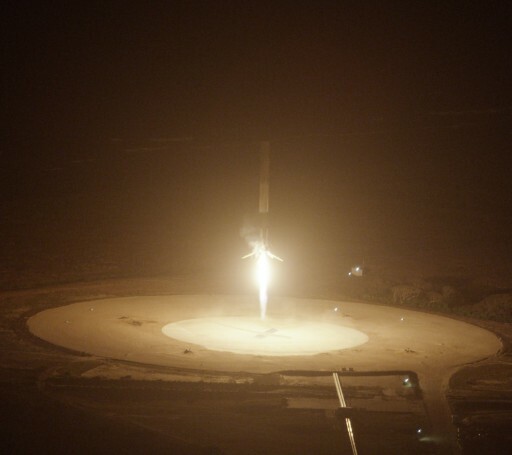 At the same time, the booster deployed its four grid fins to provide flight control during its two minutes of atmospheric flight, tasked with modifying the stage’s angle of attack to control the downrange flight distance and eliminate any remaining cross track errors. 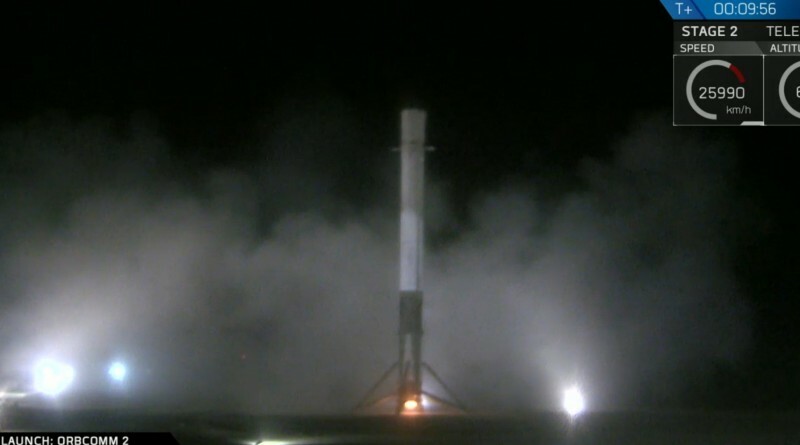 Racing towards the ground, the incoming first stage fired up its center Merlin engine on the critical landing burn that had to slow the stage down to its landing speed while also making final corrections to the trajectory in order to hit the large X painted onto the flat concrete pad at LZ-1. 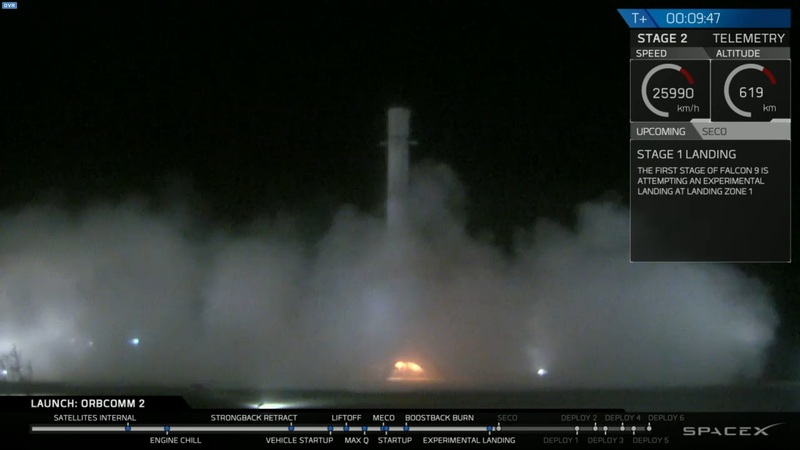 Live video from the evacuated landing pad showed the booster coming in for its landing at a blazing speed – throttling the engine to achieve a gentle touchdown on all four landing legs. When sensing touchdown, the stage cut off its engine and came to rest on its legs, marking an achievement that has been in the works for years as SpaceX had taken the path towards re-usability with the very first launches of its Falcon 1 rocket and further committed to reuse of launch vehicle parts with the gradual upgrades seen on the Falcon 9 rocket in the last three years. 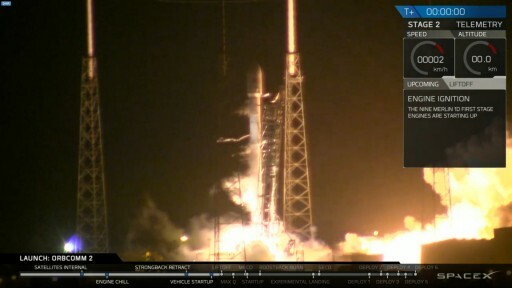 Loud cheers emerged from the Control Rooms at SpaceX after it was clear the first stage had made a safe landing. 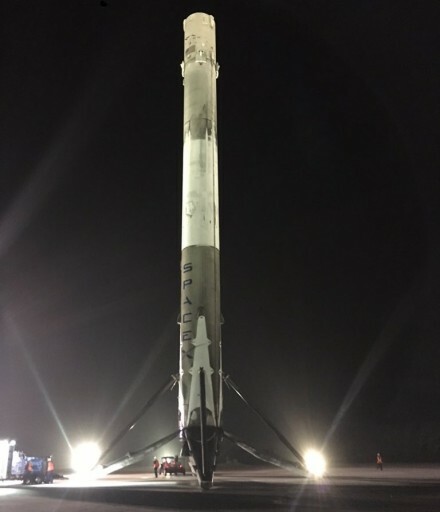 It was the first landing of a rocket stage returning from an orbital mission in an important distinction to Blue Origin’s New Shepard launch vehicle that completed a return from a low-speed sub-orbital mission a few weeks ago.